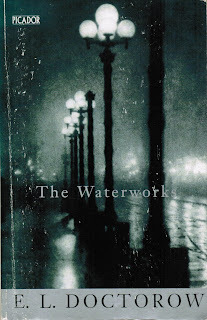 Imagine a Sherlock Holmes story written by H G Wells and you pretty much have "The Waterworks", except its actually written by Doctorow, who is a much finer writer than Conan Doyle or Wells. Martin Pemberton is walking along Broadway one day shortly after is father has died and he looks up and sees his father driving past in a carriage, and that sets the scene for this novel set in New York City shortly after the Civil War. It is a very dark, sad story in that it puts all our human frailties out there to be considered, especially greed and vanity. There is a good suspense yarn in here as well and there are uplifting moments to compensate for the dark stuff. Its not Billy Bathgate or Ragtime but the man can write and any time reading E.L.Doctorow is time well spent.